Whether you’re running a startup or leading a new product or service division at a Fortune 500 company, you know that big change happens fast, and if that change is managed effectively, big growth will follow. But these transformations — transitions from perpetual licensing to subscription models, additions of add-ons to existing offerings or exponential growth in a customer base — put new demands on a business’ existing processes. Outdated systems can encumber progress and thwart success. 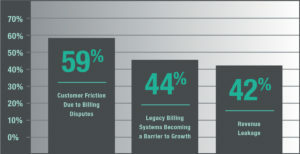 When it comes to billing platforms, the problem is especially acute, as slow and inflexible systems can only support simplistic business models, and they definitely can’t support rapid-fire changes to offerings and packages. This means companies that are trying to grow with their traditional billing systems have to resort to spreadsheets and cumbersome, manual efforts that lead to mistakes, lost revenue and customer dissatisfaction. In order to combat these problems (or better yet, prevent them), businesses must adopt billing systems that can change and grow with them. How Can Intelligent Billing Future-Proof Your Business? Rather than trying to MacGyver legacy systems into functionality they really can’t support or replacing static systems intermittently to support transformation and scale, organizations can future-proof their business models by adopting intelligent billing platforms that can handle a variety of simple and complex packaging models — from simple subscriptions to consumption-based packages to any number of combinations — and leave room to grow. Intelligent billing platforms are designed to do just that, addressing the key billing challenges businesses are facing by improving internal systems and increasing customer satisfaction. With the range of packages and pricing options required to keep customers satisfied, organizations need billing platforms that can manage one-off contracts as easily as standard offerings, track usage based on a variety of models and translate all that data into accurate, transparent bills for each individual customer. With legacy billing platforms, business model changes, additional products or new packages generally require significant resources and several months to implement. But intelligent billing platforms can streamline the process, taking changes live much more efficiently and empowering businesses to make the pivots they need to scale. Traditional systems struggle to handle this kind of complexity and flexibility without manual help, and the multiple data sources (not to mention human error) can make it difficult for both a business and its customers to parse what really goes into each invoice. But the right intelligent billing platform can seamlessly process and report every bit of data to help the organization track and analyze usage and provide customers with accurate, easy-to-read invoices every time. Of course, intelligent billing platforms aren’t one-size-fits-all, and companies preparing to make the transition should base their selection on a clear understanding of their own, individual requirements. Gotransverse has a powerful intelligent billing platform that empowers strong relationships between businesses and their customers, no matter how fast they’re growing. For more information on how we can help you future-proof your business, contact us at info@gotransverse.com today. 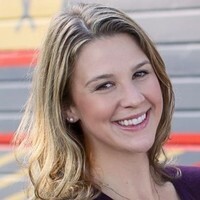 Clare Corriveau is the Director of Marketing at Gotransverse. An award winning marketer, Clare has built her career in SaaS and demand generation. When she's not kicking SaaS in marketer-mode, you can find her spending time with her husband and kids, hiking with her pup Pippa and cheering on Michigan State.